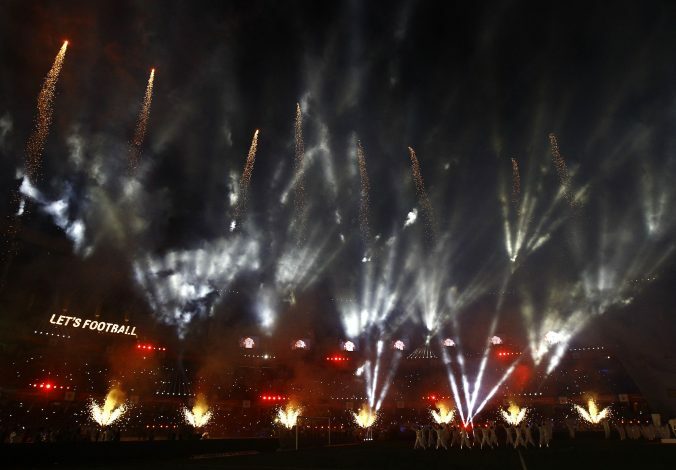 The Indian Super League was founded in the year 2013, so as to boost the growth of football in India. And since its first season in 2014, the franchise has done precisely that, by filling football stadiums all across the country, as well as getting the football fanatics at home hooked to the television for 90 minutes everyday. One of the main reasons behind the success of ISL so far has been the star-studded roster of each and every club competing in this tournament. The competition has been home to not just the promising talent emerging from India, but also some of the legendary footballers who have played and won everything at the topmost level of the game. These legends have made a tremendous impact not just on the pitch, but off it as well. Alessandro Del Piero – easily one of the best players of his generation – is also regarded as one of Italy’s biggest footballing legends of all time. The decorated forward spent most of his club career at Juventus. He not only captained the Italian giants for 11 seasons, but is also embossed in its history books, as he holds the records of scoring most goals (290) and making most number of appearances (705) for the Turin-based outfit. The 42-year-old won everything there is to win on a club level with Juve, viz. six Serie A titles, a Coppa Italia, four Supercoppa Italiana titles, a UEFA Champions League, a UEFA Super Cup, and an Intercontinental Cup, amongst others. The legendary attacker also enjoyed a successful career on an international level. He represented the Italian national team in three FIFA World Cups and four European Football Championships, and helped the Azzurri win the 2006 World Cup. Del Piero joined ISL outfit Delhi Dynamos back in August 2014 – two years after he left Juve – signing for the new franchise on a four-year deal. He spent just one season in India, making 10 appearances for the Delhi-based club, and scoring one goal in the process – a trademark freekick against Chennaiyin FC. Robert Pires began his career in France, playing for FC Metz and Olympique Marseille, before finally making his big move to Arsenal in 2000. The Frenchman spent 6 of his best footballing years at the North London club, where he helped the Gunners win 2 Premier League titles, 3 FA Cups, and 2 Community Shields. He was also an important part of Arsenal’s Invincibles side that went unbeaten in the 2003-04 Premier League season. 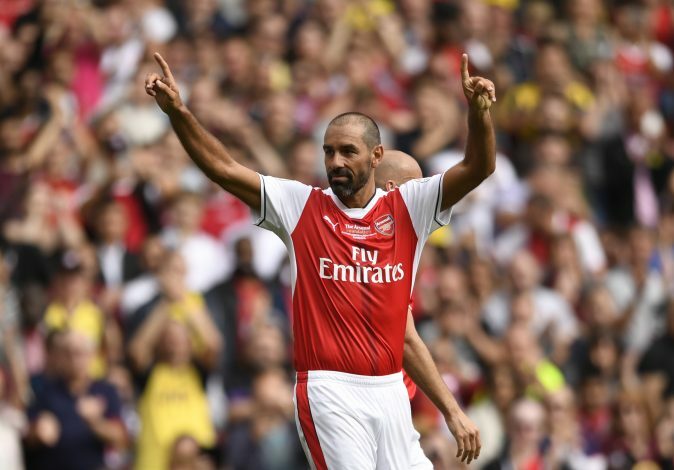 Pires also enjoyed success on the international stage, as he won the 1998 World Cup, the 2000 European Championship, as well the FIFA Confederations Cup in 2001 and 2003 with his country. On an individual level, Pires won several awards, such as the Ligue 1 Young Player of the Year in 1996, as well as the FWA Footballer of the Year in 2002. The winger was also a part of the PFA Team of the Year for three successive seasons. Furthermore, the Arsenal legend was included in the FIFA 100 by Brazilian legend Pelé. Following his stint at Arsenal, Pires spent 4 seasons with La Liga outfit Villarreal before returning to England once again, to join Aston Villa. He arrived in India in 2014, joining ISL franchise FC Goa as the club’s marquee signing. He made 8 appearances for the Goan side, and scored 1 goal. Another Juventus legend on our list is David Trezeguet. Trezeguet first made a name for himself at Ligue 1 club AS Monaco, where he formed a deadly strike partnership with Thierry Henry. He managed to score 60 goals – including the fastest ever goal in terms of velocity (157.3 km/h) in UEFA Champions League history against Manchester United – in the 113 appearances he made for the French club, and won 2 Ligue 1 titles and a Trophée des Champions during his time in his homeland. The decorated striker then joined Juventus for £20 million in 2000. He spent 10 years with the Turin club, including the club’s stint in the Serie B. He scored a total of 171 goals for the Italian giants, and became Juventus’ highest ever foreign goal scorer, and fourth-highest all time top scorer. During his time in Italy, he won 2 Serie A titles, 1 Serie B, and 2 Supercoppa Italiana. The forward was a part of UEFA Team of the Year in 2001, and also won the Serie A Footballer of the Year award for the 2001-02 season. In 2004, he was included in the list of 125 greatest living footballers by Pelé. On the international level, Trezeguet helped France lift the 1998 FIFA World Cup, and the European Championship in 2000. After leaving Juventus, he had some brief spells in Spain, the United Arab Emirates, and Argentina, before eventually arriving in the Indian Super League to play his final season as a footballer. He joined Pune City FC in July 2014, and spent one season with the Pune-based franchise, scoring 2 goals in the process. Roberto Carlos became one of the best left-backs to have played the game during his time with Real Madrid. Nicknamed as “The Bullet Man” for his offensive threat, the Brazilian dominated the left flank on a regular basis, helping his team out not just defensively, but on the attack as well. Carlos joined Real in 1996, and spent 11 seasons at the Santiago Bernabeu club, making 584 appearances and scoring 71 goals. He was also a part of Real Madrid’s famous Galacticos side. During his time in Spain, the defender won numerous titles, including 4 La Liga titles, 3 Supercopa de España titles, 3 UEFA Champions Leagues, 2 Intercontinental Cups, and 1 UEFA Super Cup. Carlos also enjoyed tremendous success on the international level, as he helped Brazil win the 2002 World Cup, along with 2 Copa America titles and a FIFA Confederations Cup. Individually, Roberto Carlos won the FIFA World Player of the Year Silver Award in 1997, and he also came second for the 2002 Ballon d’Or. The star man was a part of both FIFA World Cup All-Star Team and UEFA Team of the Year on two different occasions. The decorated defender arrived in India in July 2015, signing for ISL franchise Delhi Dynamos as a Player-Manager. He managed 16 games during the 2015 season, out of which his side won 7 and lost 5. The Brazilian also made 4 appearances during the course of the campaign.